Bourn Hall offers short IVF waiting times for NHS funded treatment. In addition to its world famous Cambridge IVF clinic it also has full service clinics in Colchester and Norwich and satellite clinics at Great Yarmouth, King’s Lynn, Luton and Wickford. These arrangements ensure that patients can access treatment quickly and have appointments close to their home or place of work. Fertility treatment can be a bit of an emotional roller-coaster and requires frequent appointments, so we do everything we can to provide the best quality treatment with the least amount of stress. The usual pathway is first to talk to your GP who will then refer you to a consultant at your local hospital and we work closely with hospitals across the region to offer continuity of care. 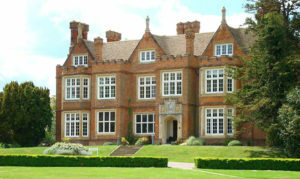 Bourn Hall is a provider for NHS funded IVF treatment across the East of England. This covers all patients with GPs across Bedfordshire, Cambridge, Essex, Hertfordshire, Norfolk and Suffolk. IVF success rates are high, 78% of our patients are pregnant within 3 cycles of IVF and for three years running now 42% of NHS funded patients get pregnant first time. Fertility treatment can be recommended by a Consultant Gynaecologist, either when there is an identified cause for a couple’s fertility problems or where there has been unexplained infertility for over two years. The Keen twins from Swavesey, playing at Bourn Hall Clinic, Cambridge. If it is considered that IVF is required, and you meet the criteria for funding, your consultant will offer you a choice of five selected providers of fertility services: Bourn Hall Clinics in Cambridge, Colchester or Norwich, Leicester Fertility Centre, Oxford Fertility Unit, Barts and The London Centre for Reproductive Medicine and IVF Hammersmith in London. 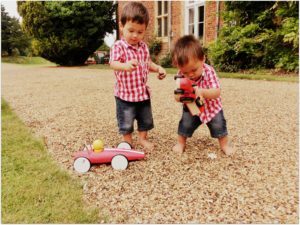 Bourn Hall is the only provider of full service NHS funded IVF treatment in Cambridgeshire. Of course Bourn Hall continues to provide the same level of high quality treatment to self funding patients including specialist services for male infertility and intralipid infusion for recurrent miscarriage. It has invested in the latest technology such IMSI and Eeva. Under the current NHS contract, couples who meet the criteria for fertility treatment are entitled to a maximum of three fresh IVF cycles and a further three frozen embryo transfer cycles.